Understanding what it means to be “blacked pilled” is best understood through the lens of what it means to be “red pilled”. The red pill has morphed several times in terms of what it’s meaning in purpose. What once represented an awakening akin to that undergone by Neo in The Matrix turned into an embrace of closed-minded worship of white Westernism. 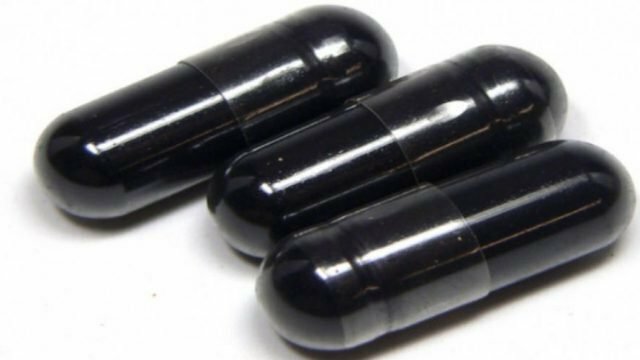 The black pill represents much more sinister urges that have risen from the collective consciousness that is pooled in various spaces on the Internet. Instead of awakening to support the resistance against a towering machine of capitalism and corrupt governance, or arising from slumber to defend it, some now choose to hasten the fates ultimate decision—an ending to what has long stood erect and resolute, for good or ill. Accelerationists, as they’re called, want to push everyone over the edge and then build something better in the ashes. How exactly the construction of a new society occurs is where things become fuzzy, not that a whole lot of what they believe is crystalline. The accelerationists want to cause not just destruction, but dissent and unrest through government crackdowns and social isolation of those who already feel disenfranchised. The censorship of online forums by New Zealand is what the killer wanted, just as the social witch hunt across social networking and streaming sites pushes their narrative in the desired direction. The killer wants their brothers in arms to activate and commit similar acts of inhumanity. If this becomes a trend, even a smaller one like the incel movement, the acts will only increase in severity. The killer is an eco-fascist who seems to most closely identify with China’s flavour of tyrannical government, where the military plants trees and journalists are jailed for doing their jobs. However, even in these identifications, the amorphous nature of fascism remains as fluid and shifting as the people they hate so much. Internet culture is the area most grounded for many of these types who have learned little from books but have read much from behind the glow of their computer monitors. Internet culture is the area most grounded for many of these types who have learned little from books but have read much from behind the glow of their computer monitors. They will continue to “go for the high score” and tomorrow’s atrocities may very well involve today’s politicians. The heritage of reactionary hate these people draw from includes wide swaths of Nazism, paganism and antagonistic nihilism. Although many come from the internet, their ideologies don’t have much to do with cyberspace or memes, beyond what would be considered by most a free but highly influenced “market” of ideas that usually never face any sort of real accountability. The mainstream media and those who serve as its mouthpieces are wary of a deep dive into these specifics the same way they’ve avoided any sort of due diligence in pursuing the Vegas shooter’s story. It just seems not to matter to them, they’d rather wallow in the all too common, and now widely recognised, tropes of crazed racists inflicting pain on the world. I believe it’s worth examining the specific urges that amalgamate into driving motivations and intentions. In the case of the New Zealand mass murderer, it’s eco-fascist accelerationism—imagine the American prepper movement, but much further right and harbouring malevolence to the very existence of society. Instead of simply preparing for society to fall, the eco-fascists, who are also accelerationists, actively work toward toppling the established governance by ripping society apart at the seams. They don’t want a race war; they want total war. And if there are more attacks like those in New Zealand, expect the worst.